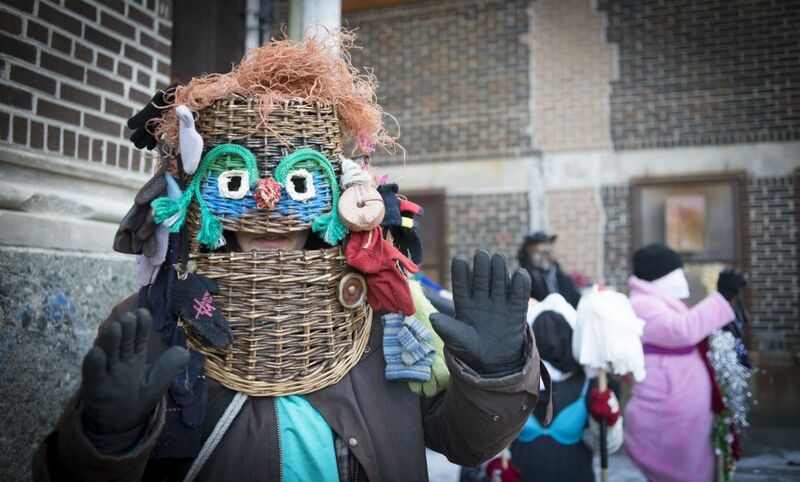 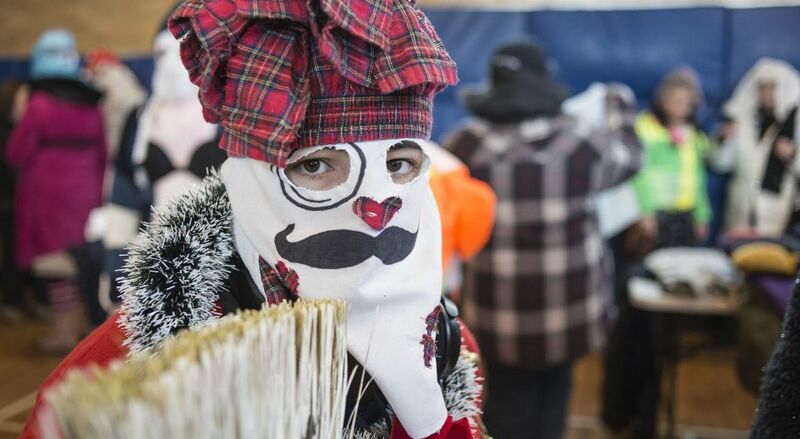 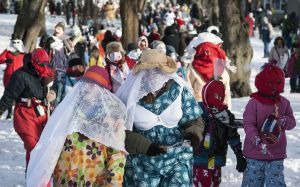 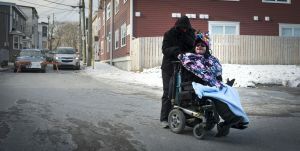 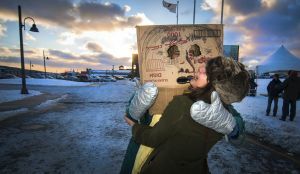 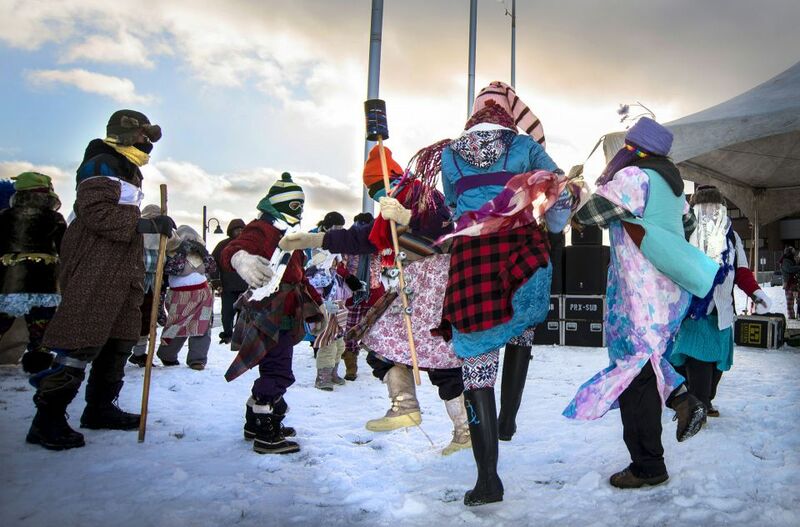 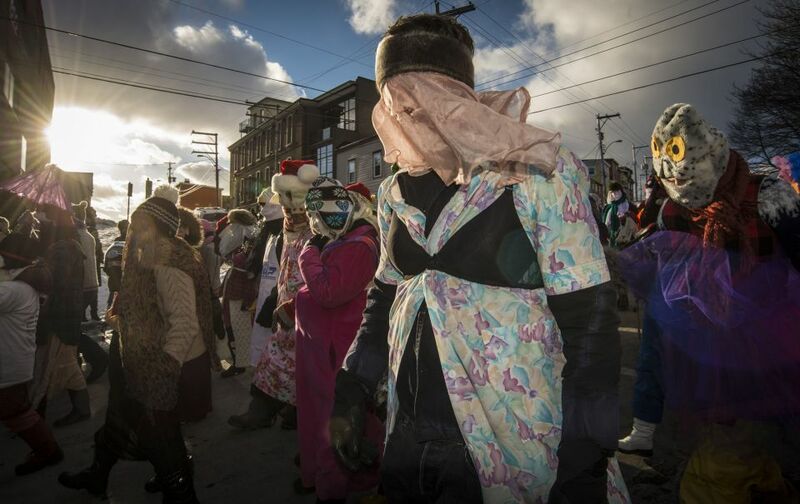 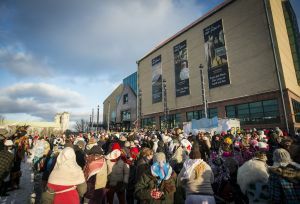 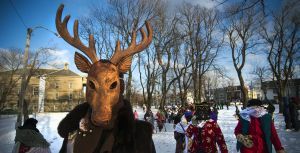 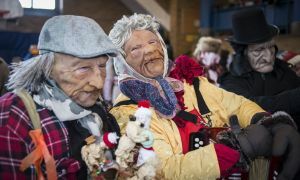 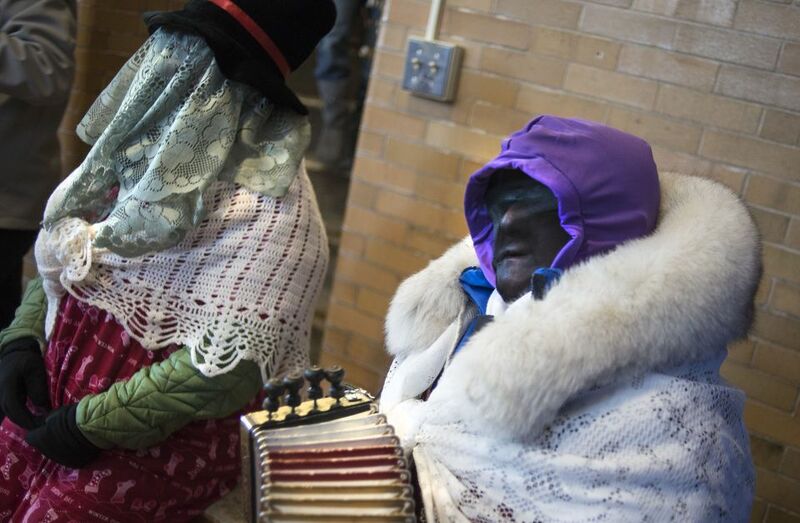 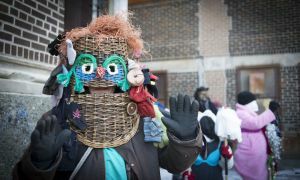 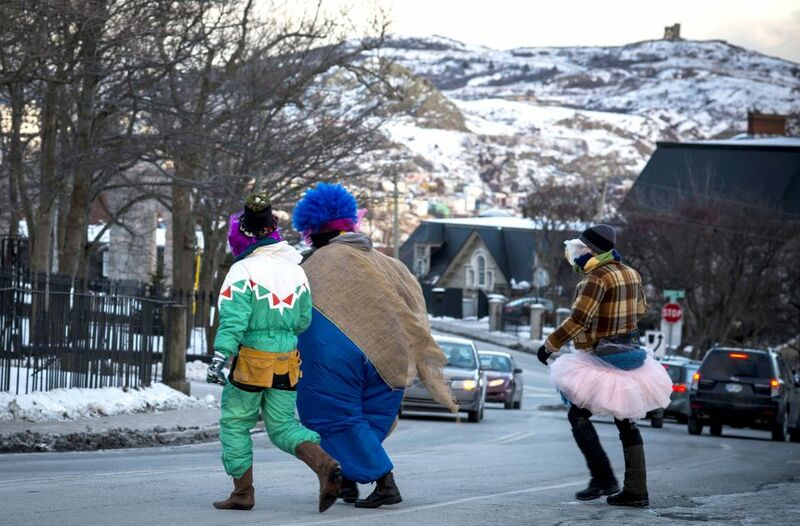 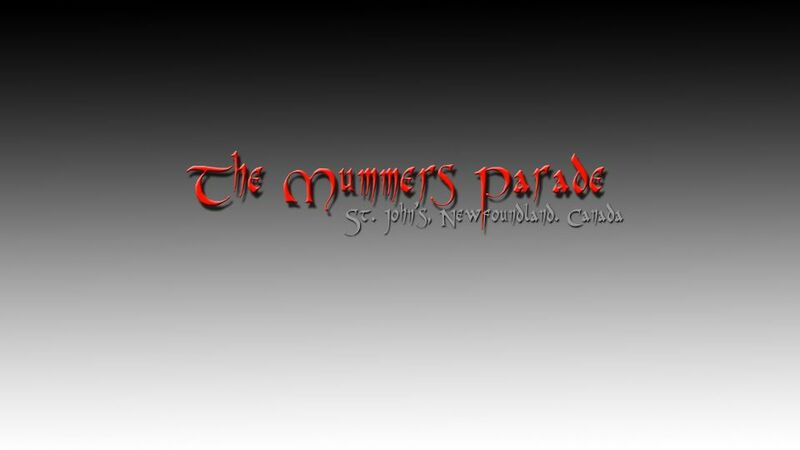 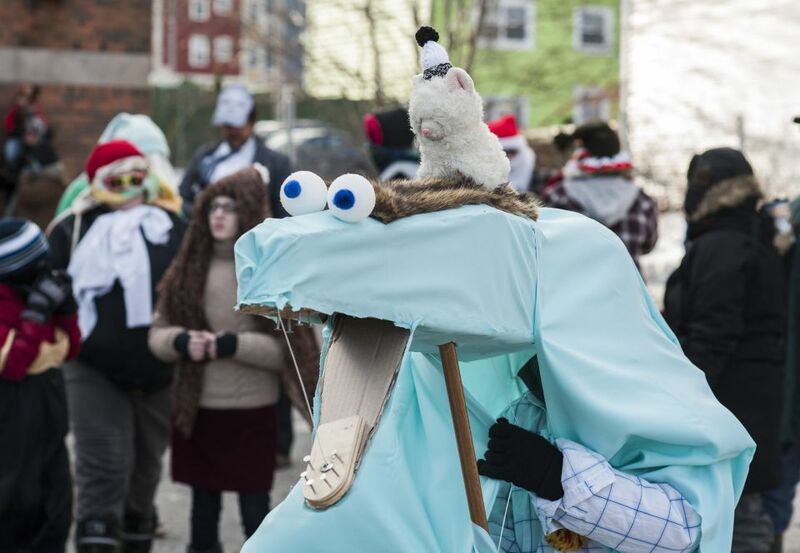 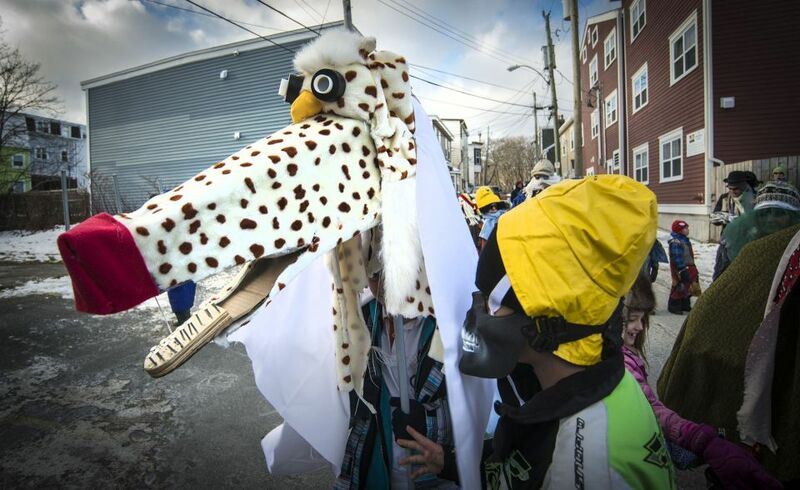 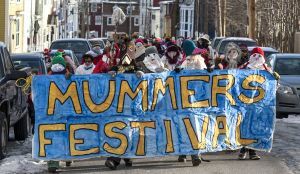 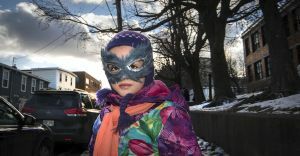 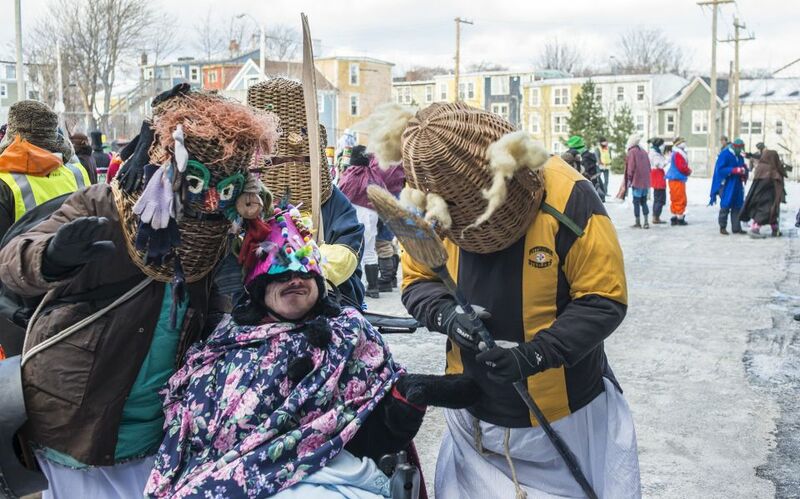 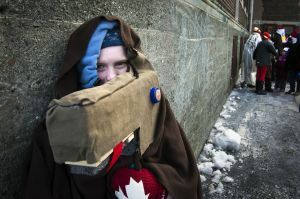 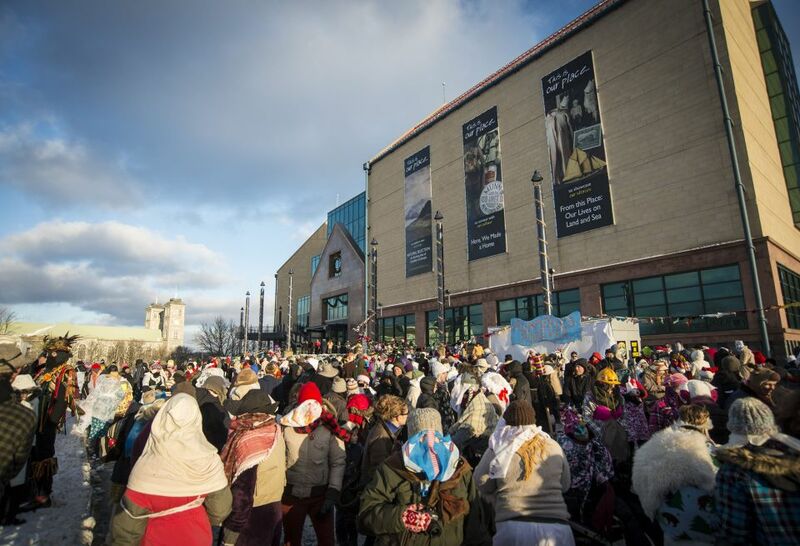 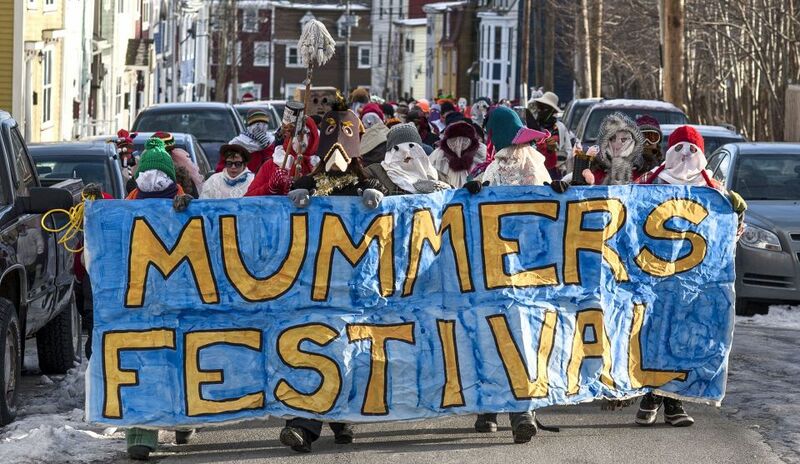 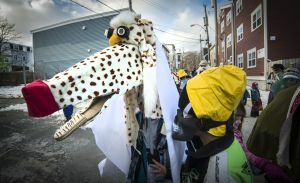 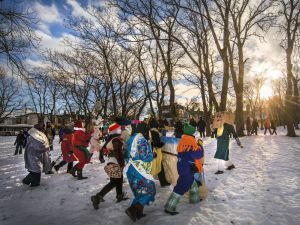 In Canada’s most eastern province, and the first colony of the once-mighty British Empire, Newfoundland’s cultural revival has recently included the dark art of mummering. 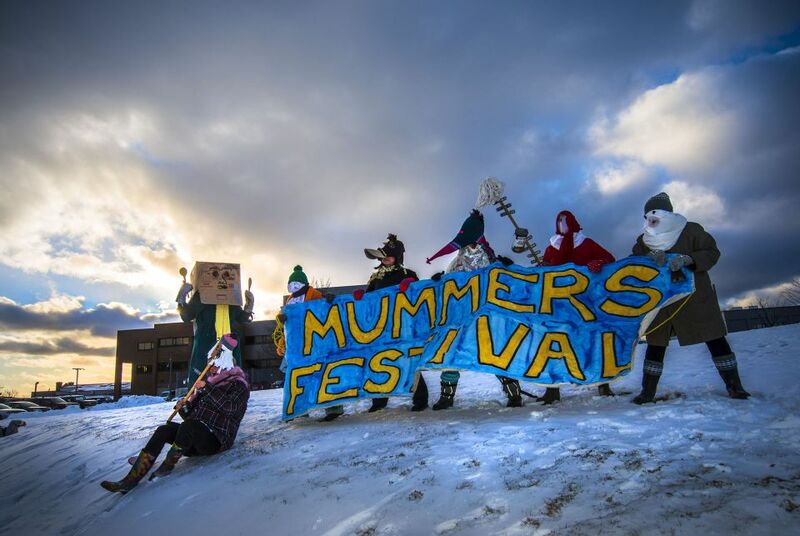 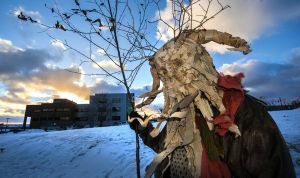 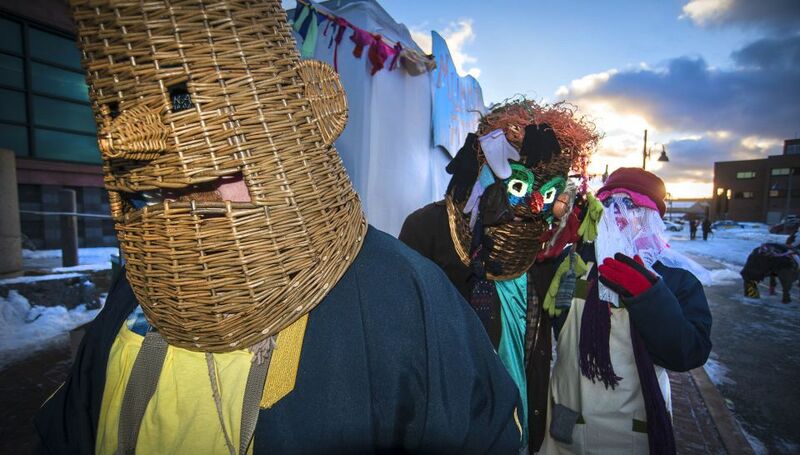 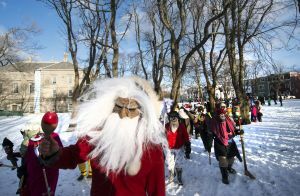 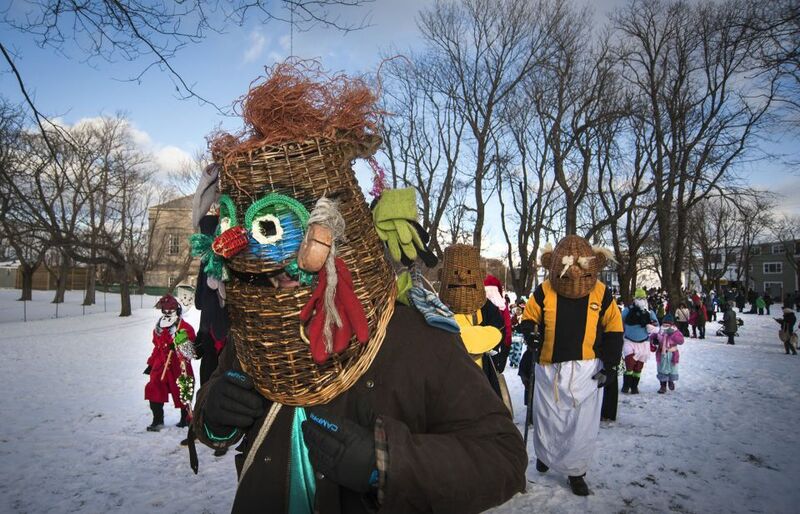 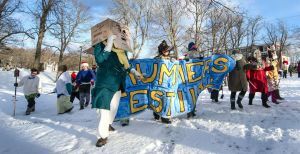 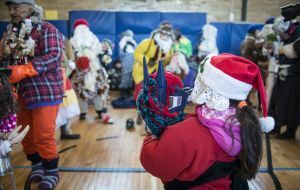 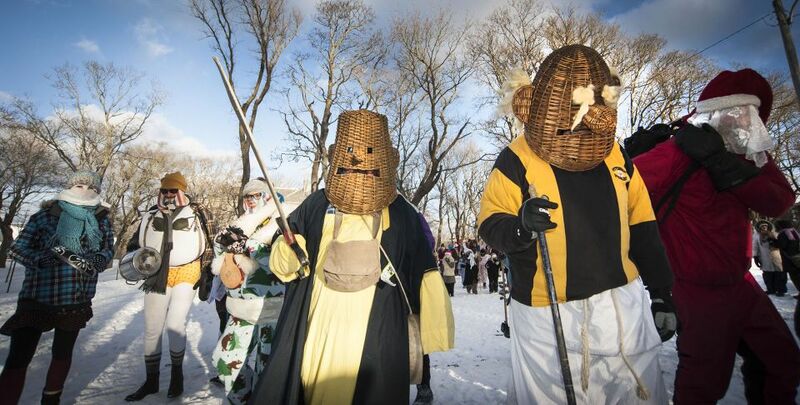 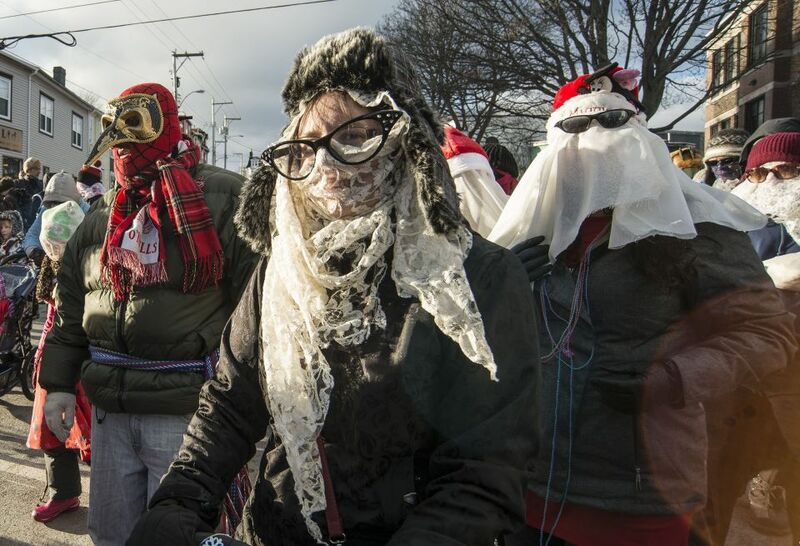 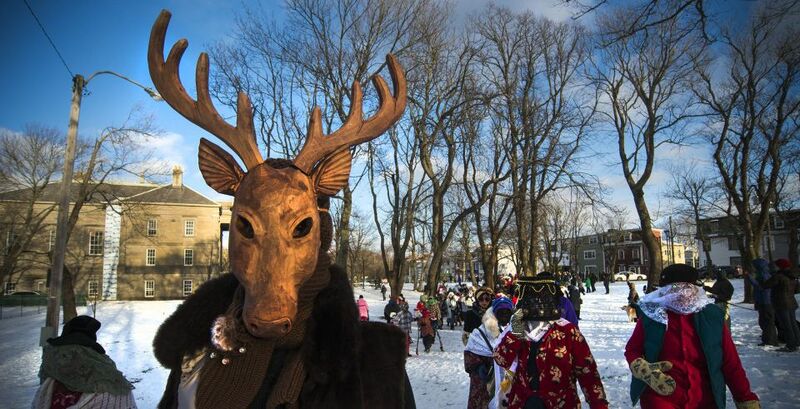 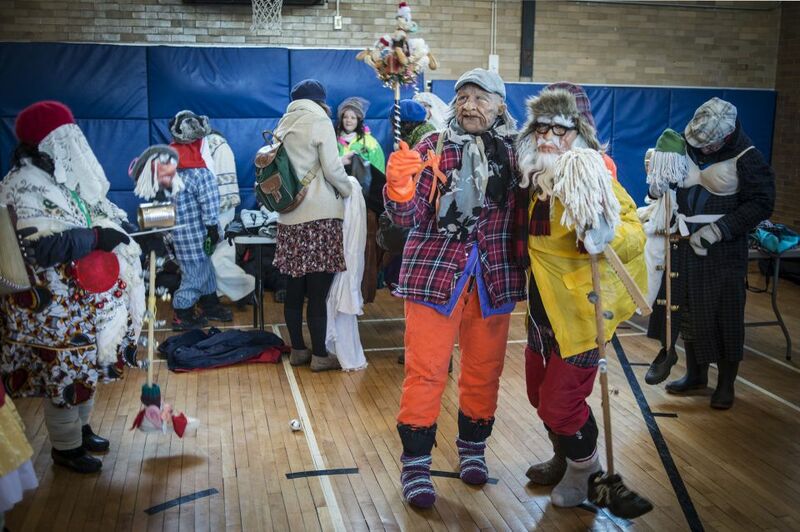 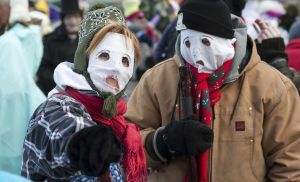 With roots in the pagan, Anglo-Saxon and Celtic cultures that celebrated the winter solstice and Samhain, mummering became a local folk arts variant, evolving with it own traditions. In the small and remote Newfoundland fishing villages, it was the seasonal Christmas entertainment, for the traditional 12 days of Christmas ending on Old Christmas Day of January 6. 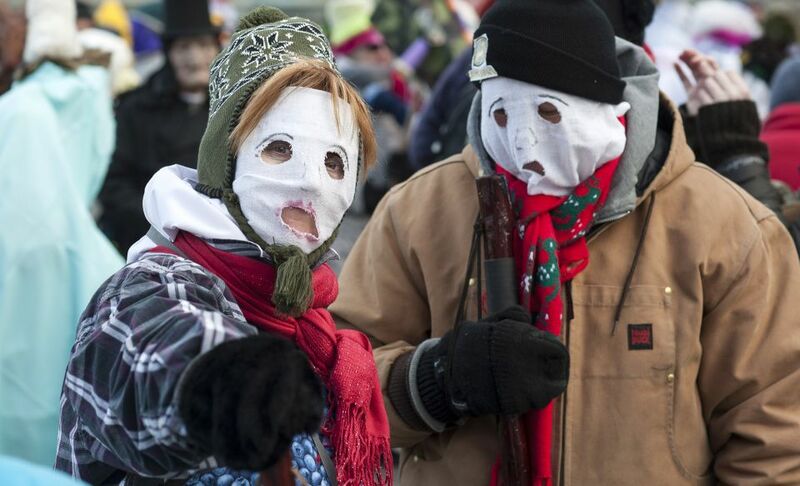 People dressed in makeshift disguises and roamed each village, knocking on doors and demanding entry. Inside they would sing, dance and play music in exchange for food and drink … but mostly drink, fueling the darker and rowdier possibilities before the evenings wore out. Sometimes scores were settled on these cold winter evenings. 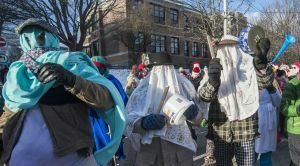 Mummering, mumming or jannying lives in the shadows of seasonal festivals somewhere between Halloween, Samhain, the burning of the Wicker Man, the celebration of Christ and … Peace on Earth and Good Will toward Men. 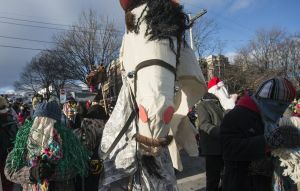 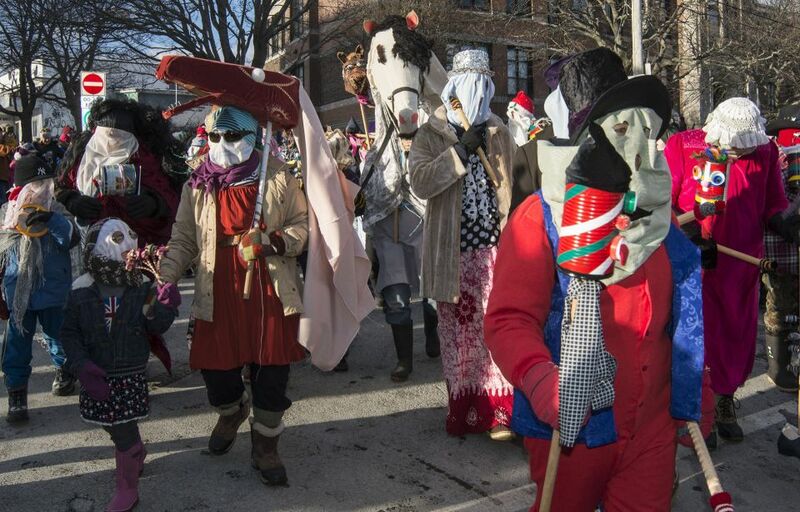 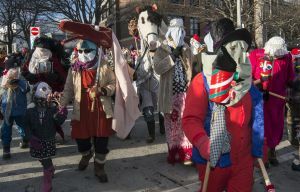 The Mummers Play still presents characters today that would be familiar to people in England and Ireland of yore, with King George, the menacing Horse, and the Turkish Knight. 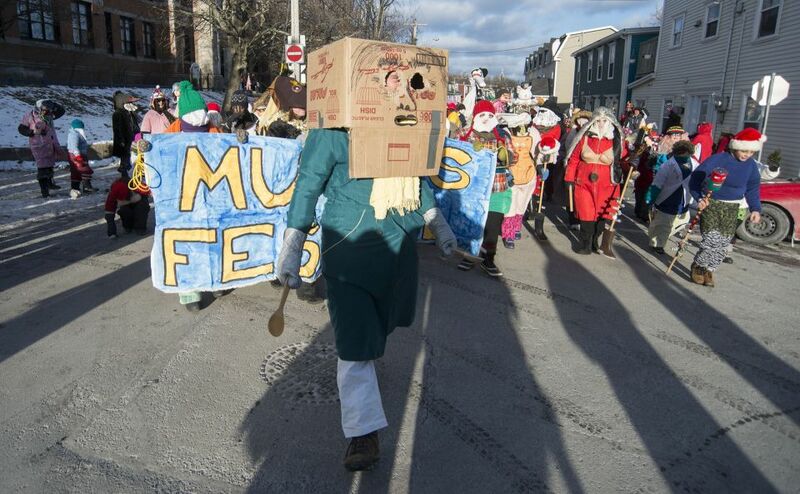 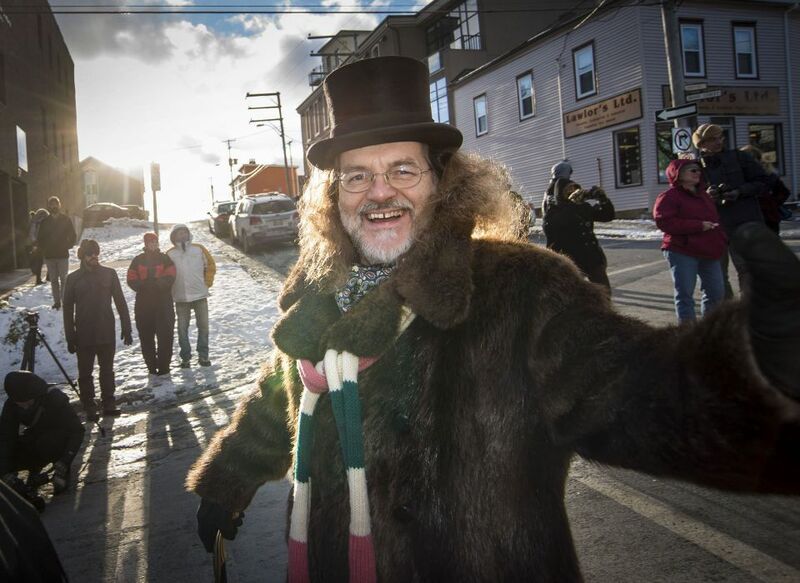 In Newfoundland in 1860, fisherman Isaac Mercer was murdered by Mummers in Bay Roberts, Conception Bay, which led to laws banning Mummering in the colony. 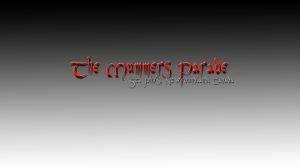 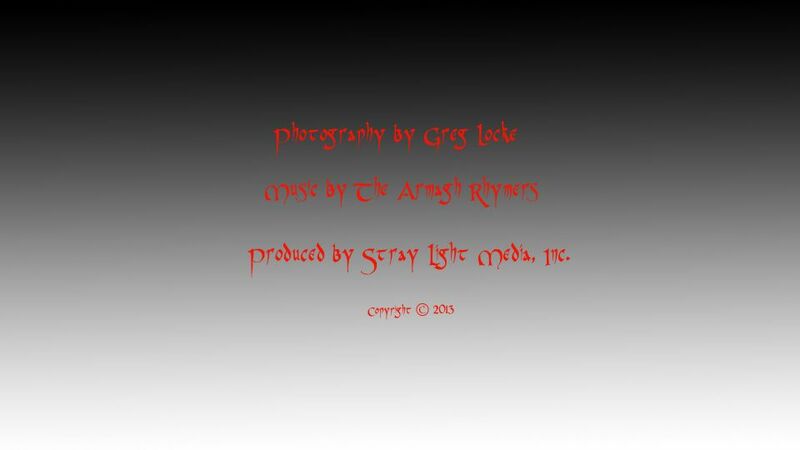 All photos property of Greg Locke © 2013.All Music property of The Armagh Rhymers © 2013. 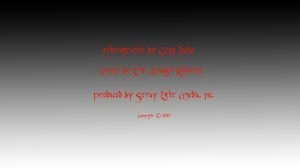 Produced by Stray Light Media, Inc.